Home/ 99 cent summer romance novel! Don’t miss this sale! Only time this year! 99 cent summer romance novel! Don’t miss this sale! Only time this year! I wish I could bring you pleasure every day. Do you still want me? I’m so excited to start off 2017 with a new release! TAMING SUGAR will be out on 1.19.17, and you, my lovelies, get the first look at the cover. Look how shiny! 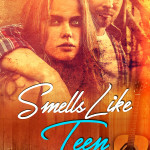 Smells Like Teen Spirit is here! book deals, news and free reads.